Cockeyed Caravan: Storyteller’s Rulebook #95: Money Is Too Generic. Be Specific. Storyteller’s Rulebook #95: Money Is Too Generic. Be Specific. Re-watching High and Low this week made something clear to me that I’d never really caught on to before: You can’t create a compelling movie character who wants “money”. High and Low was about a man trying to keep his fortune. But in order to make that problem compelling, Kurosawa had to make it clear that there was something specific he needed to spend his money on. Likewise, if you’re writing a script about someone who wants to get a lot of money, it will only be compelling if it’s for a specific need. It’s no accident that the most common stand-by in these situations is medical bills. 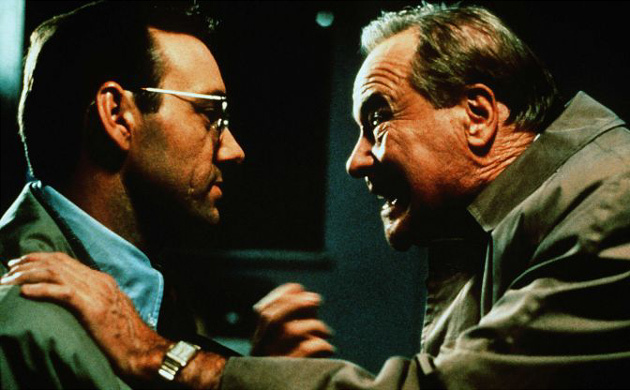 In Glengarry Glen Ross, if Jack Lemmon had stolen the leads just to get “money”, we wouldn’t care if he got caught or not. But he steals the money to pay for his sick daughter’s care, so we want him to succeed. In “Breaking Bad”, Walt starts his meth business to spare his family the crushing burden of his medical bills, and we’re somewhat on his side. It’s only when he beats cancer that that he, and we, are “left without excuses for the evils and abuses,” as Johnny Cash would say. But wait, you say, why should movies be different from real life? In real life, money, in and of itself, seems to be the motivation for most of our actions. Why excuse greed onscreen by giving it medical justifications? Well, I would say that in this case real life is the illusion and movies are telling the truth. In recent years, the white house tried to deal with a health care crisis and a mortgage crisis, but failed at both tasks, because they refused to admit that they were one and the same crisis. They acted as if people were borrowing on their homes out of selfish greed, and they set out to penalize that greed. But greed usually had nothing to do with it. The most common reason for going underwater on a mortgage was unpaid medical bills. Likewise, the administration assumed that the solution to the medical crisis was to sell more health insurance. But the only way that anyone had been able to afford skyrocketing insurance premiums in the first place was by using their homes as ATMs. Now that the home-price bubble had burst, the insurance model was no longer tenable, but the administration refused to admit that. This is actually an example of movies doing what they do best: making clear the connections that get obscured in real life. In real America, we fail to see that our economic desperation is largely caused by our medical/insurance industry, but onscreen, screenwriters quickly realize that they have to make that connection clear, because otherwise the story doesn’t make sense. If only we could carry that clarity back over to real life. In HIGH AND LOW Mifune's reasons are built up to perfection. He's not some greedy businessman, but a capitalist in the old school -- the kind who probably never actually existed -- who believes in honest hard work, in selling a quality product for a reasonable price. He's in the shoe business as if by accident more than passion but he respects the traditions of the business, the ideals of the founder, the relationships with his colleagues and coworkers. He wants to buy the company because he doesn't want it run by the wrong people who will turn out cheap shoddy product in the pursuit of greater short-term profits. He knows he can do better and wants to give back to the company and the customers that have given him so much. The Jack Lemon stuff in GLENGARRY GLEN ROSS was not in the original play. And I definitely think it weakens the movie. The play is more about that character stealing because he hasn't made a sale in forever. Sure it's harder for every last human in the audience to relate to than a more specifically contrived and noble reason, but it's a purer and more honest depiction of that character and his cut-throat world. I had forgotten it wasn't in the play, but you're right. I think the difference is that most plays don't have a point of view. The beauty of the stage is that each actor in an ensemble will be holding the attention of different members of the audience at different times. We can choose to pay attention to the speaker or the person being spoken to or the bystander listening in, without the camera making that choice for us. A movie camera has to favor one character's point of view, and if we're going to be shackled to that character, we require a greater level of trust and sympathy than we do in a play. This adaptation added a villain (Alec Baldwin) and a hero (by justifying Lemmon's actions) but I wouldn't say that either change simplified the original play or dulled its edges. I would say just the opposite-- I would say that made us feel the anguish of the play in the sharper, more intimate way that only movies can provide. In the play, we observed what a group of desperate men were going through. In the movie, we felt and identified with what one desperate man was going through. I never saw the movie of American Buffalo, but it seemed to be more faithful, and far less successful. The (great) play is about three unlikeable rats circling each other. If I had adapted it, I would have gotten the audience to root for one of the rats, just because I feel that that's the way that movies work best. Matt, I think you're right about movie audiences needing identification through relatable reasons, but as per usual I'm into questioning the edges and pushing the boundaries. Are there ever any exceptions that work? These questions come from two movies I've seen in the past year -- CARLOS and SWEET SMELL OF SUCCESS -- plus one half-remembered exchange from the Hitchcock/Truffaut interview and a lot of the writing you've done on what makes a protagonist interesting to the audience ("the one trying the hardest to solve the problem"). In CARLOS and SWEET SMELL OF SUCCESS, there are no good guys, only bad guys and worse guys. SWEET SMELL OF SUCCESS is a little easier to parse, because the protagonist Sidney Flaco, as black as his soul might be, is still a teddy bear next to his nemesis J.J. Hunsecker -- the stark contrast is what makes it possible to follow Sidney and care about what he's doing. Much the same dynamic is at work in Mamet's GLENGARRY GLEN ROSS. Which is why I still don't think the Lemon character needs more or better reasons for doing what he does. CARLOS is even more of an outlier, though. A six-hour miniseries with a murderous megalomaniacal madman at the center of every scene. Carlos is far and away the worst guy in this movie. He has plenty of reasons, but they're all facile, ridiculous, self-serving. Why is it still so compelling to watch? Is this part of what I like about UP IN THE AIR too? 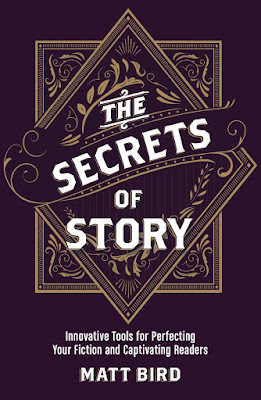 Both are perhaps stories about charismatic yet shadowy protagonists who delude themselves into believing they are on some kind of traditional hero's journey. A writer can do whatever he wants in a novel like NOTES FROM UNDERGROUND. But I suppose part of what I'm getting at is a question of the limits antiheroic storytelling in film and TV. Or is it sometimes possible for the protagonist to be the worst person in your story world? As long as we're with him, watching him try to solve challenging problems? TAXI DRIVER, anyone? The second half of PSYCHO? "Fifteen million dollars is not money. It's a motive with a universal adaptor on it."